The ancients were madly obsessed by chariot racing 2000 years ago but in the heat of North Africa, the horses would have fainted. On the north coast of Africa lie the ruins of a city that came within a hairbreadth of defeating the might of Rome. Now archaeologists digging at the famous Circus of Carthage have revealed a startlingly advanced system to cool down horses and chariots during races. The ancients were obsessed with chariot racing. More than a half-century on, the chariot race in the 1959 Hollywood blockbuster "Ben-Hur" is still one of the most memorable scenes in cinemascope history. But even horses can faint, certainly in the burning heat of North Africa. Key to the discovery of the clever cooling system at the Circus of Carthage, the biggest sporting arena outside Rome, was the detection of water resistant mortar. “This kind of mortar is called hydraulic mortar. It's a type of waterproof lime mortar mixed with crushed and pulverized ceramics that the Romans used in hydraulic engineering,” says Frerich Schön of Tübingen University, the water technology specialist who first spotted the material, to Haaretz. The discovery was made at the spina, the median strip of the circus, around the ends of which the charioteers would turn during races. The spina would often feature ornate columns and statues. This is a common technique at circuses; well-preserved water basins have also been found at the circus of Maxentius outside of Rome on the Via Appia. Water basins of the type are shown on a mosaic from Carthage showing the circus and the spina. As for the sparsores, this was evidently not a job for the faint of heart. “The sparsores would usually be on foot, directly on the spina, presumably at the level of the arena, to cool down the chariot wheels driving by at high speed. How exactly the cooling was organized is not clear. But for sure, it must have been a dangerous business,” adds Bockmann. The Circus of Carthage was the second-largest in the Roman Empire, surpassed only by the Circus Maximum in Rome. Pioneering, albeit preliminary, geophysical explorations in the 1970s, measured the Carthage arena at 500 meters in length, which is around 80 meters shorter than the Circus Maximus in Rome itself. 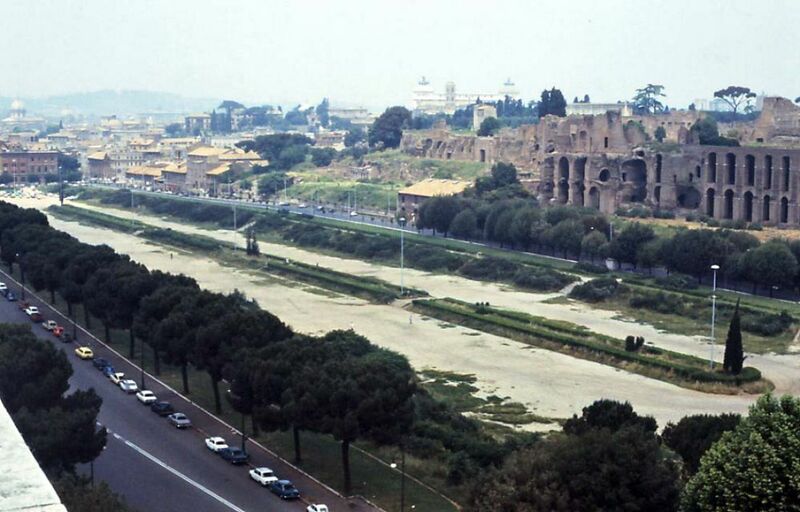 American excavations in the 1980s measured the width at 77 meters, only 2 meters short of the Circus Maximus. Whereas the Circus Maximus could accommodate over 150,000 people, the capacity of the circus at Carthage seems to have been smaller. How do we know the ancients were mad for racing? The evidence is legion, including a collection of poems edited in Carthage in the early 6th century CE, which both praises and mocks charioteers. There are mosaics showing the circus itself and inscriptions naming famous drivers and horses. Gambling on chariot racing was probably as popular as sports betting today. The games were a blood sport and involved frantic danger and excitement. Forget NBA stars or even David Beckham's quarter-billion dollar paycheck: Charioteers were the highest-paid sportsmen in history. One second-century charioteer won almost 36 million sesterces during his career – equivalent to $15 billion today. The charioteers wore distinct colors, and each team represented a certain group in society, either political or social. Supporters would erupt in frenzy when their favorite team appeared. 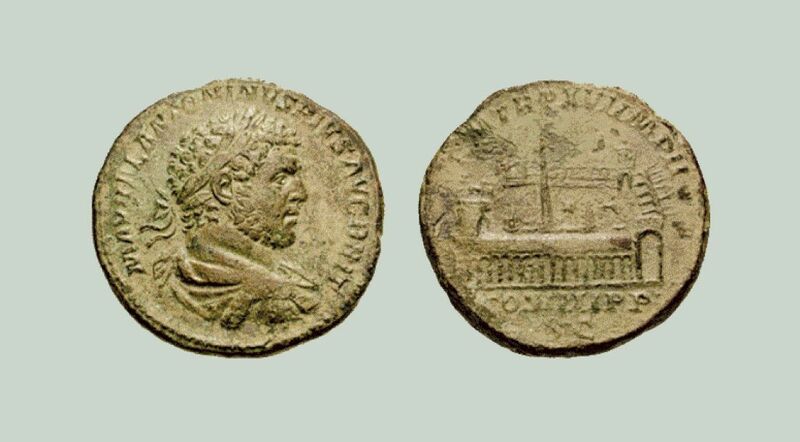 Charioteers became so popular that people adorned their houses with their portraits. And clashes between rival groups of fans were as commonplace as today. For instance, the Roman historian Tacitus reports on a riot during a sporting event in Pompeii, when Pompeians brawled with fans from the neighboring city of Nucreia. One thing we do know is that in ancient Greece, women were not allowed to watch sports, let alone participate in them. They could however enter equestrian contests through ownership. The chariot race in Olympia was won by a team owned by a Spartan princess, Cynisca, not once but twice; her triumph was influential in getting other women to field teams that won. Although we have no record of how much she won, Cynisca - daughter and sister of kings - was the first woman to have a hero shrine erected in her name and to be honored with a statue of herself in the Temple of Zeus in Olympia. Only Spartan kings was graced in this way. Yet another discovery arising from study of the spina is that the Carthage circus had to have been built in at least two phases. "We cannot say yet if these phases indicate a restructuring or enlargement, or simply are the result of distinctive actions within a single construction process,” Bockmann clarifies. Excavations at the spina, the middle axis of the circus of Carthage. The second trench is investigating the "bleachers" – the section where spectators sat and cheered on their favorites. 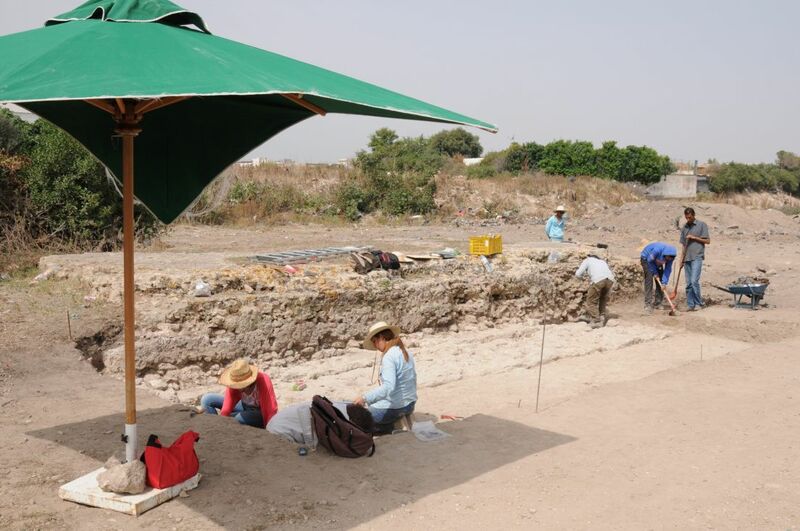 The archaeologists hope this section of the dig will enable the façade and grand stands of the circus to be reconstructed – and will also shed light on the infrastructure of the organization of the games and its connection with the urban topography. “The circus of Carthage played a great role for civic life as a monument, where large parts of the population would gather to watch the races, over hundreds of years,” Bockmann said. The circus region, which served to entertain the masses for centuries, is the only part of ancient Carthage that has not been extensively built over in modern times. The archaeologists believe that its relatively untouched nature can bring fresh insights on the development of the ancient city. For instance, “It will be very interesting to reconstruct how the terrain was prepared for the erection of the circus, and what kind of usage dominated before,” Bockmann told Haaretz, adding that the study is just starting and is planned to go on for years.